Running in Vail, Co. A guide to the best routes and places to run in Vail. Vail and its neighboring mountain Beaver Creek are best known as wintertime ski destinations, but these scenic Rocky Mountain peaks just west of Denver are a hotbed for outdoor recreation year-round. 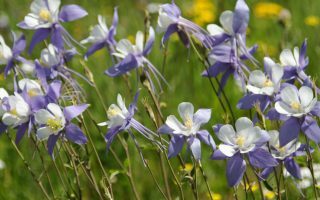 This means there’s fantastic running in Vail, with a great combination of multi-use paths and trail running opportunities. 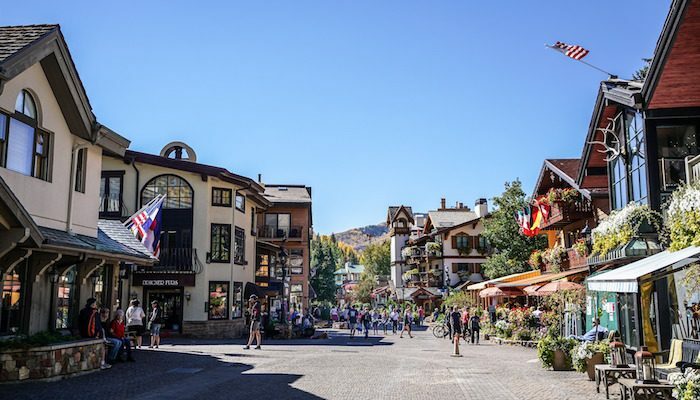 Our guide to the area includes the broader Vail Valley area, including Vail, Beaver Creek, Avon, and Edwards. 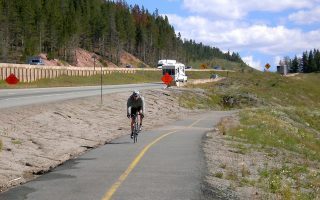 A number of flat, paved pedestrian/bike paths — Eagle Valley Trail, Gore Creek Trail, Vail Pass Trail, and the North Recreation Path — stretch through the Eagle Valley, providing some lovely runs right through the main village areas. There’s also great lift-serviced trail running on the mountains of Vail and Beaver Creek. Runners can find a unique route, using summer chairlifts to access routes like the Kinnickinick Trail, or traveling between Beaver Creek’s main residential areas on the Village to Village Trail. 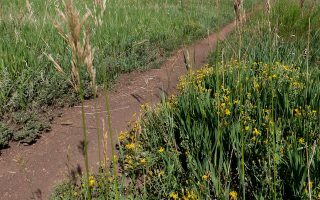 Other paths such as the Boneyard Trail, Ice Rink Trail, and Eagle-Vail Trail offer good opportunities for not-too-technical jaunts on scenic singletrack. A free public bus system makes getting around the Vail area easy and economical. Additionally, many hotels offer local shuttle services to and from the major mountain areas. Note that Vail’s altitude is at 8,000 feet, so use caution and make sure to hydrate. 12 mile path cuts through the center of Vail. Nicest section is right downtown, from West Meadow Drive to the Betty Ford Alpine Gardens. 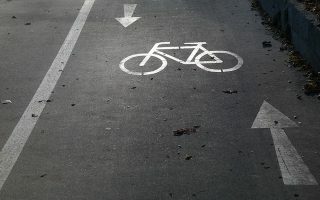 44 miles of segmented recreation path. One of the most central and popular sections is the stretch between Edwards and Avon. 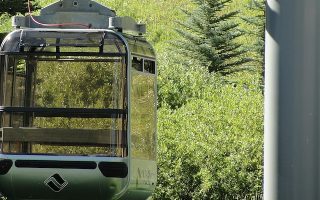 Take the gondola part way up Vail Mountain to run the 4.4 mile Kinnikinnick and Sunlight Trail up and down the summit. This easy to moderate 7.5 mile trail connects Beaver Creek Village to Eagle Creek Village in Arrowhead. 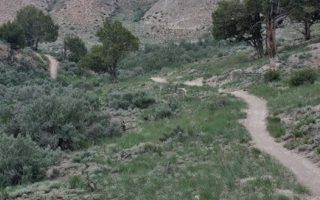 These popular running and mountain biking trails in the town of Eagle can be combined for a 6 mile loop. 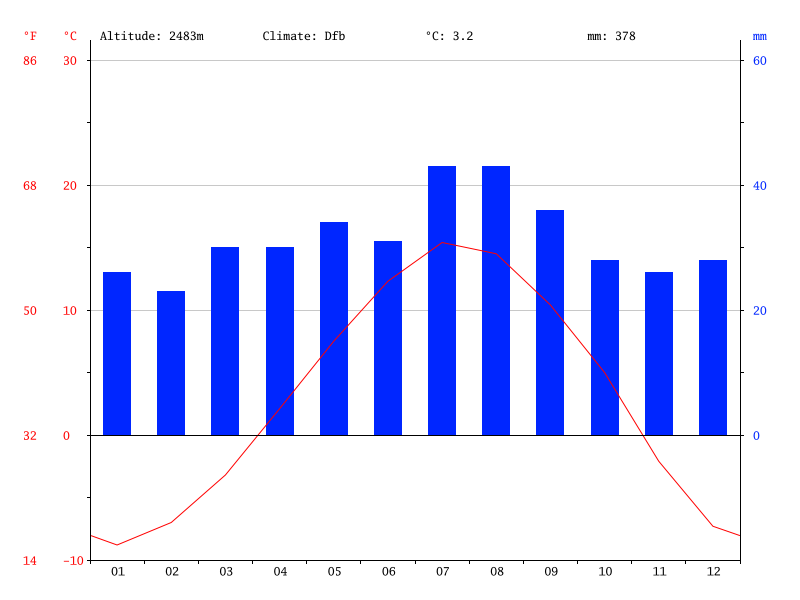 Note the elevation gain -- super challenging -- but not too technical. This trail near Beaver Creek is a good intro to trail running at 4 miles round trip, skirting the edge of the Golf Club, Stone Creek, and the surrounding forest. 4 mile trail running loop in Edwards with good hill work and a fun downhill to finish. 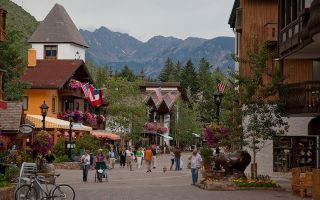 See the Vail Valley Partnership’s site, visitvailvalley.com, for tourism info. Vail is full of sports shops, including Vail Sports. The area’s premiere running group is the Vail Valley Running Club. 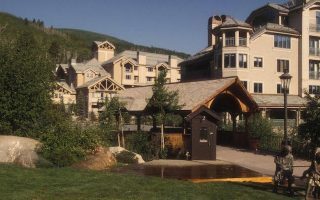 The Vail Valley holds a variety of races, from the La Sportiva Trail Running Series to the Beaver Creek Snowshoe Running Series.